This morning it occurred to me everything my team does and how well they do it. Most people don’t realize that a well run dental office needs to deal with most of the same issues faced by hospitals or large medical facilities. The difference is that hospitals have huge resources to delegate and outsource responsibilities to committees, third parties, management groups, skilled and less skilled staff. In a dental office, the magnitude of the responsibilities is on a much smaller scale but the demand for excellence is exactly the same. The result is that my team needs to wear a lot of hats and they need to wear them well. This has a huge impact on the quality of care people receive. One example is radiology (X-rays). 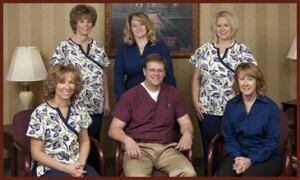 Hospitals have radiology departments but within a dental office is also a mini radiology team. Besides being trained to take and read X-rays, the team is constantly monitoring the X-ray equipment and developing solutions. The result is that both the digital X-rays and films are clearer and more accurate for diagnosing and patient safety is maximized. Another big concern is sterilization and infection control. My team is fanatical about this. The autoclave is checked by an independent lab on a monthly basis, and the treatment rooms are disinfected similar to an operating room. In addition, they run disinfectants through the waterlines on a daily basis to eliminate bacteria build up which could be passed to the patient. I also commend them for their commitment to maintaining inventory and supplies. I can say that in 15 years I have never been without the exact product or instrument necessary for the procedure. Our quality control and research and development go hand in hand. My team and I have monthly meetings to assess our protocols and procedures. We also attend continuing education and seminars routinely, as well as review current periodicals and material research oriented lab reports. Over the next few weeks I will be adding more details on this issue. We also function as our own technical maintenance department. For example, each instrument has to be lubricated properly, calibrated and maintained for proper function. Also the X-ray developer, the autoclave, the curing lights, the Cerec, the vacuum and compressor require weekly upkeep. In addition, proper disposal of amalgam (silver mercury), hazardous chemicals and medical wastes is important for the environment. One of the biggest challenges is computer maintenance because we employ such a high degree of advanced technology like the Cerec System – which makes same day crowns, digital X-rays, and advanced software for our intra-oral cameras and imaging. We do utilize professionals to maintain the technology and computers but my team is also up to date with our technology and trouble shoots issues on a regular basis. Another hat they wear is keeping up to date with current regulations whether it involves the government such as HIPPA, OSHA or patient confidentiality, or insurance. Monitoring dental insurance plans, updates and code changes maximizes the benefit our patients receive. In addition to all of that, they participate in outside continuing education in the field of dentistry as well as medical emergencies, X-ray safety and CPR. Shipping and receiving wouldn’t seem like a big deal in a dental office, but it is because everyday we are tracking and shipping out cases to our laboratory and making sure we receive cases and dental implant parts in time for the patient’s appointment. I am proud of how well they monitor this. We almost never have to change a scheduled appointment because of shipping delays. Finally, we treat a range of very complex dental conditions. This involves managing not only treatment planning but a complex combination of patient’s unique desires and needs. For example, people today are extremely busy and my team works hard to maximize what we get done at each visit in a way that accommodates their hectic schedules. Also, some people require sedation for anxiety and/or the assistance of a specialist which can involve coordinating him in our office to save the patient several visits. Last but not least, complex dental care often requires budgetary considerations for the patient. My team works hard to estimate what the estimated insurance reimbursement will be and what the patients out of pocket expense will be. They also coordinate third party financing and develop a schedule for when payments are due. Of course, there is much more that they do, but I think that some of this might come as a surprise and they deserve my recognition. If they didn’t do what they do so well, I couldn’t do what I do.